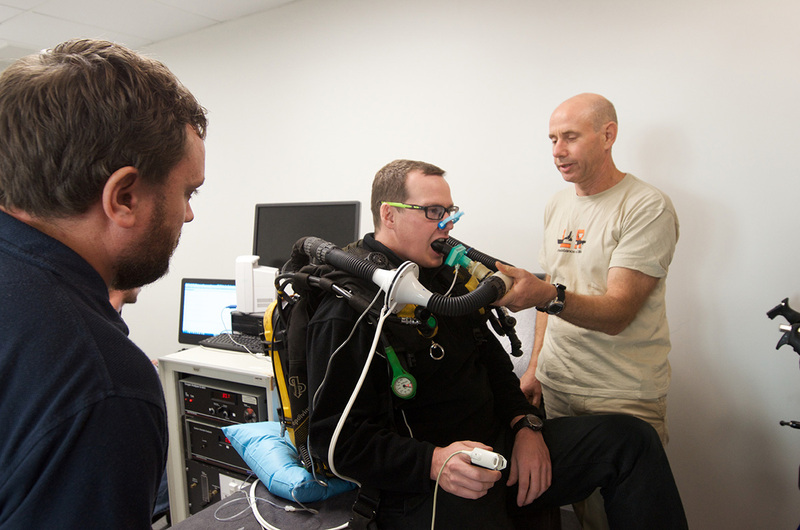 Should rebreather divers prebreathe test their rebreathers prior to a dive? For many years it has been common practice for rebreather divers to start breathing from their rebreather prior to the dive. There has been a recent randomized single-blind study to review the efficacy of one part of the prebreathe test that has caused me to reevaluate my pre-dive check list. Since the beginning of my first rebreather course on the CCR-2000, a prebreathe test has been a part of the pre-dive checklist. In the early days of rebreather diving, the primary purpose of the test was to verify the basic operation of the unit. I would turn on the computer then put the loop in my mouth and breathe while watching the computer display. I would, first of all, confirm that my electronics were actually on and not displaying any error messages. Then I would listen for the solenoid to fire and add oxygen to the loop. This process confirmed that my oxygen was turned on, that there was actually oxygen in my tank, that the computer was on, and that the solenoid battery was working. Seeing the PO2 rise to setpoint, typically 0.7 ATA, provided reassurance that my rebreather was ready to dive, and would likely keep me alive for the next few minutes at least. At some point the tribal drums promulgated through the industry that there was a new reason to prebreathe: with a five minute prebreathe we could also detect the absence of a scrubber. It seemed like a good idea so I started doing the five minute prebreathe. 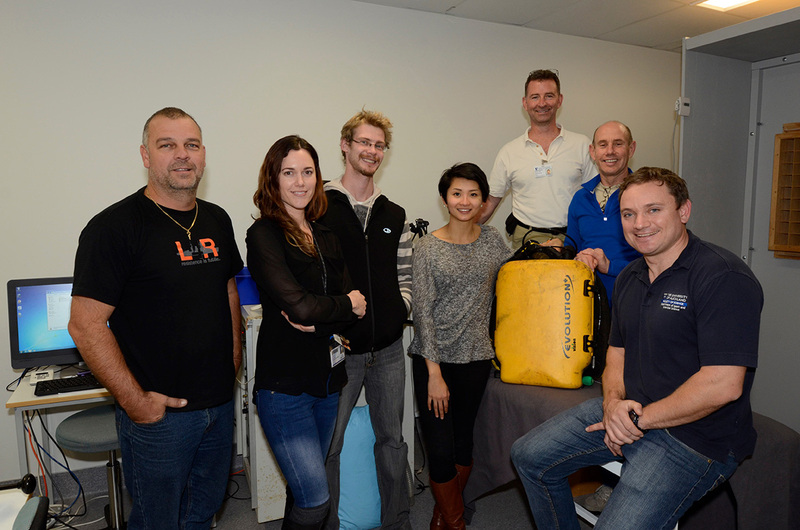 At the Rebreather Forum 3 conference,1 Jeff Bozanic presented an informal evaluation of the effectiveness of a five minute prebreathe with some friends, and found that the prebreathe didn’t seem to work very well at detecting the absence of a scrubber. That issue also contains a couple of other interesting articles. One that I found valuable described recent new research on flying after diving that has made me think more carefully about my surface interval between my last dive of the week and my flight.3 The journal is a joint publication of the South Pacific Underwater Medicine Society and the European Underwater and Baromedical Society. Subscriptions are available at http://www.spums.org.au/. Vann RD, Denoble PJ, Pollock NW, eds. Rebreather Forum 3 Proceedings. AAUS/DAN/PADI: Durham, NC; 2014; 324 pp. Deng C, Pollock NW, Gant N, Hannam JA, Dooley A, Mesley P, Mitchell SJ. The five-minute prebreathe in evaluating carbon dioxide absorption in a closed-circuit rebreather: a randomized single-blind study. Diving and Hyperbaric Medicine. 2015 March;45(1):16-24. Very interresting article. Is there anny testing as to weather or not a longer prebreathing test and/or while under heavier physical work load (such as kitting up and walking a distance on land in full gear while breating on the unit) has anny better potential of detecting a scrubber faliour with a more reasonable chance? Would be hard to determine the amount of physical load, as it must be subject to personal variation and gear etc, but I guess it depends on how “close” we are to detect a faliour with the current form of prebreating as well? Also I have been told that prebreating the unit is a good idea because the sofnolime may be a bit slow to start scrubbing efficiantly due to the need of building up heat in the scrubber or something like that. Has that been tested or is it just a myth? The workload wasn’t varied in this test and, as you say, it would be difficult to quantify on real dives. Paul Raymaekers tested a frozen scrubber in his breathing machine to determine if scrubber needed to be warmed up or activated. He found that the scrubber worked immediately even when it was near freezing. The need to warm up scrubber appears to be a myth.